I'm a little stumped as to why my nice icon gets a little chewed up by Icomoon. I'm no expert with icon fonts and SVGs, but this all looks correct and Icomoon doesn't complain. It just seems to cut out the intersection between two paths in this SVG when generating the font. 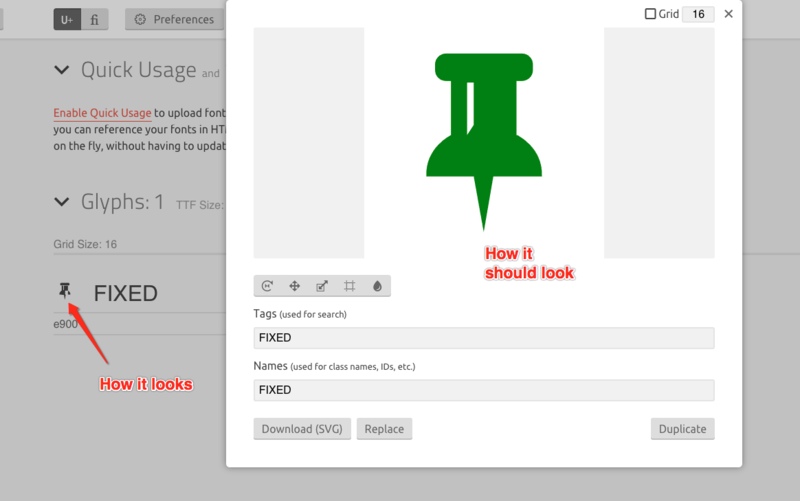 A colleague has reported seeing the icon without this issue, which makes this issue murkier. Could someone lend some wisdom? 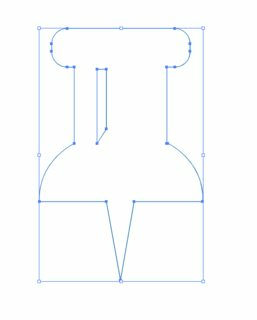 You should flatten your SVG to a single shape with as few paths and points as possible. Overlapping paths, especially in fonts, will give you a lot problems if you don't pay attention to path direction etc. Just don't do it; it's bad practice and will just give you headaches. Not the answer you're looking for? Browse other questions tagged fonts icon svg or ask your own question. 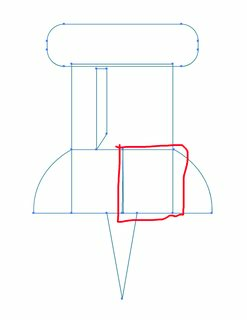 Why exporting to SVG reduce quality rendering?